Mr. Edsall is a fourth-generation, lifelong resident of Ventura County. After graduating from Santa Clara High School in Oxnard in 1972, he attended UC Davis as an undergraduate. Dave graduated from UC Davis in 1976 with his Bachelor's of Science degree in Agriculture Economics and Business Management. 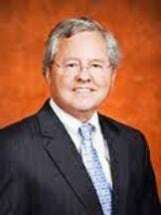 He graduated from Western State University College of Law in San Diego, California in 1979 and was admitted to the California State Bar that same year. After over thirty years of private practice in Camarillo, Dave's practice consists mainly of Estate Planning and Business Matters. These practice areas include the preparation of Wills and Trusts; business formations such as Incorporations, Limited Liability Companies, and Partnerships, review and drafting of contracts, and civil litigation.